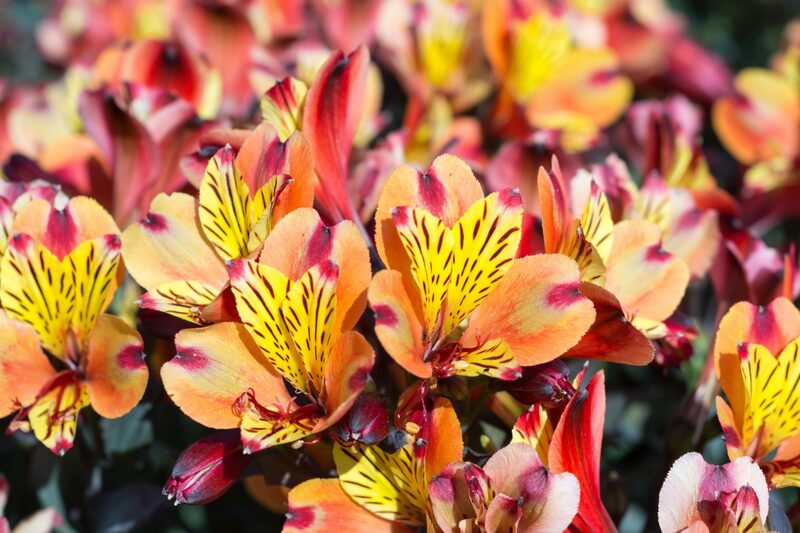 Most folks have never heard the term alstroemeria, but just about everyone has seen this delicate flower native to South America while waiting in line to buy groceries. More commonly known as Peruvian lily or lily of the Incas, this is one of the most common flowers found in supermarket bouquets for everything from Mother’s Day to Christmas and a favorite among florists for its versatility and wide range of hues. They are often the last flowers standing after weeks of removing dead blooms from bouquets and do not have a scent, which makes them a perfect addition to arrangements with more aromatic flowers. 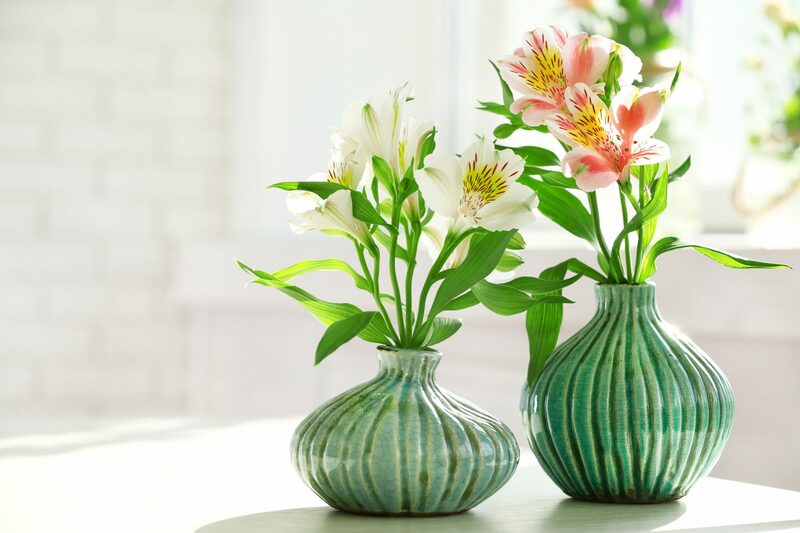 Although referred to as a Peruvian lily, alstroemeria is not a true lily and is generally considered a pet-friendly choice that is not known to be toxic to cats or dogs. This makes it a good choice for gardeners looking for a versatile addition for their backyard cutting gardens. It should be noted, however, that the ASPCA does consider the Peruvian lily potentially harmful to cats if consumed in large amounts, which can induce vomiting and diarrhea. Alstroemerias come in almost any color you can imagine, including yellow, pink, purple, red, orange, lavender, peach and blue. You can grow them in containers, cutting gardens, island flowerbeds, or borders, and the wide variety of cultivars available ensures that you will be able to find options that are well suited for your climate and cut flower needs. Since Peruvian lilies are relatively easy to plant and maintain, the most difficult thing about growing alstroemerias will likely be choosing which colors to grow. As with most plants, it is best to buy alstroemerias as close to home as possible. Local nurseries stock and will be able to recommend varieties that thrive in your area. They will also be a valuable resource if you have any future questions or issues. Alstroemeria plants are difficult to start from seed, and those started from seed are usually not as impressive as their parent plants. If you choose to start alstroemerias from seeds, soak the seeds overnight and start them in seed starting trays. After about six weeks, you should have at least a few seedlings ready to transplant into containers or your garden. If you are planting Peruvian lilies in the ground or raised beds, plant your seedlings about 12 inches apart. Add a layer of mulch around the plants and water thoroughly. Alstroemeria plants started from seed will take longer to flower. Alstroemeria plants are also difficult to start from bare root tubers and are vulnerable to fungal diseases while they are not in soil. So, while this may seem like an easy option with wide availability online, you may be disappointed with the results and may end up with nothing growing at all. If you decide to start your plants from bare root tubers, plant them in fertile, well-draining soil at least 12 inches apart. It is best to start your first round of alstroemerias from established plants available in containers from a local nursery. Plant them 12 to 24 inches apart in well-draining soil. Add a layer of mulch around the plants and water thoroughly. Alstroemerias will stop blooming if the soil gets too hot. This means that you can plant them in full sun if you live in coastal California, but you will want to choose a place with partial shade if you live farther inland. If you are growing alstroemeria in containers, use larger planters to keep the soil from overheating. Another option for plants in containers is that you can move them onto a covered patio or other shaded area during warmer months. Growing alstroemeria is relatively easy and does not require much time or effort. With proper care, you can get many varieties to bloom from late spring or early summer through fall, during which time you should be watering regularly to promote increased flower development. When the weather is not too hot, you should be able to deeply irrigate your flowerbeds once per week. During the hottest times of the year, you will likely need to water more often. Your plants will then go dormant for a few months between growing cycles. While the plants are dormant, you can cut back on watering while they rest. If you live in an area that freezes, be sure to add a thick layer of mulch to your garden bed to keep your alstroemerias cozy over winter. Gardeners generally do not have many pest issues with alstroemeria plants. Slugs and snails are really the only issues and you can ward these pests off by running some copper tape around the edges of your containers or flowerbeds. 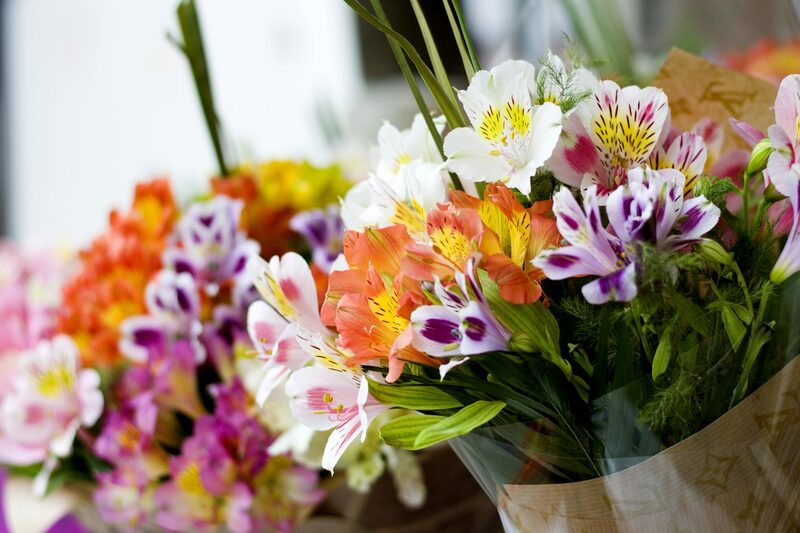 Most gardeners who grow the alstroemeria flower do so for the purpose of cutting them for use in floral arrangements. During the first growing season, most gardeners cut the stems for use in bouquets. After the first year, you can encourage future blooms by pulling the stems from the base of the plant. For those who are not regularly cutting flowers for arrangements, you will want to deadhead your plants as your flowers fade. Unlike other flowering plants where you deadhead by simply pulling off the dying flower, with the alstroemeria flower, you deadhead by removing the entire stem. This causes a small amount of damage that encourages more flowers to grow. You will start to notice your alstroemeria plants flowering less somewhere between two and four years after planting them. Once you notice this, it is time to divide the plants to keep these perennials thriving. Most gardeners prefer dividing their alstroemerias in April. At this time, they gently dig up the fragile roots, divide them, and immediately replant them to get them back in the soil before any fungal issues can occur. Add a layer of mulch and water the container or flowerbed until the soil is thoroughly moist. This is also a great opportunity to turn the soil or add amendments before planting your divided plants.